The largest manufacturer of roto-moulded polyethylene water tanks in Western Australia. 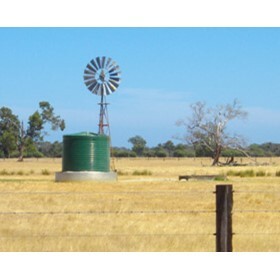 West Coast Poly are specialists in the manufacture of water tanks for farming, domestic, urban, agricultural, industrial, mining and transport sectors. Leading edge manufacturing technology, quality control and high level customer service set us apart. All West Coast Poly tanks are manufactured to the highest standards, with on-site impact and ultrasound test equipment for quality control. You can be assured of quality when buying a West Coast Poly tank.